They’re an impressively busy lot, Chord. Seems like there’s a new model appearing from the company every other week. 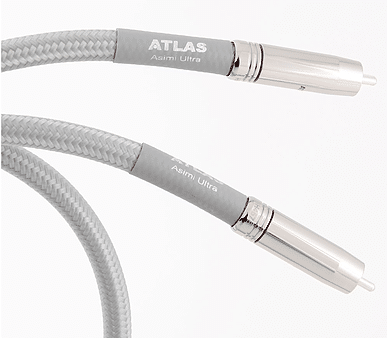 The Shawline Tuned ARAY range includes speaker cables that use the same conductors as the Chord Rumour. 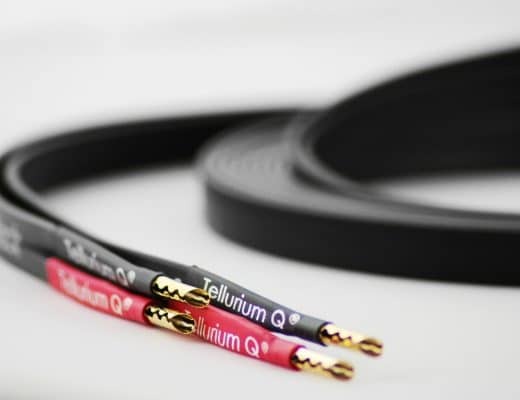 The twisted pair conductors are spaced with a PVC jacket to provide mechanical damping before the foil and braid shielding is applied. The outer jacket is translucent PVC over 16 AWG multi-strand silver-plated conductors with PTFE insulation. 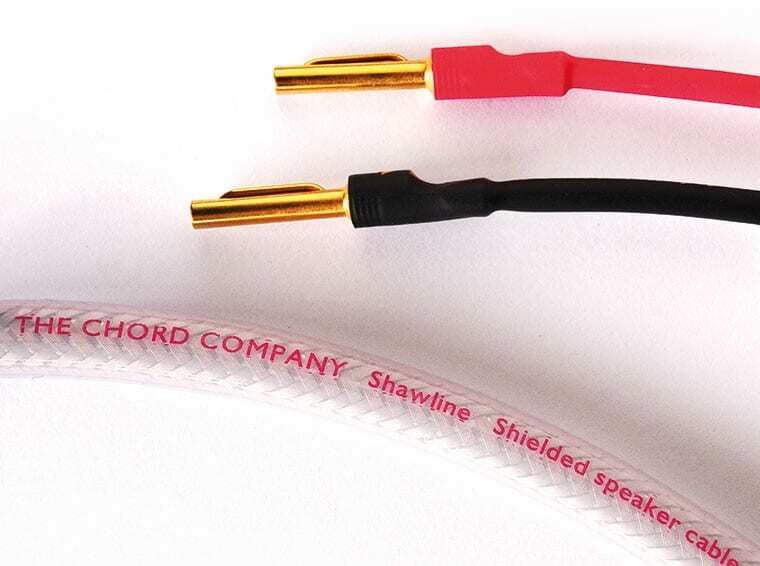 The Shawline loudspeaker cable is available off-the-reel and in factory-terminated lengths, the latter fitted with Chord Company gold-plated banana plugs. 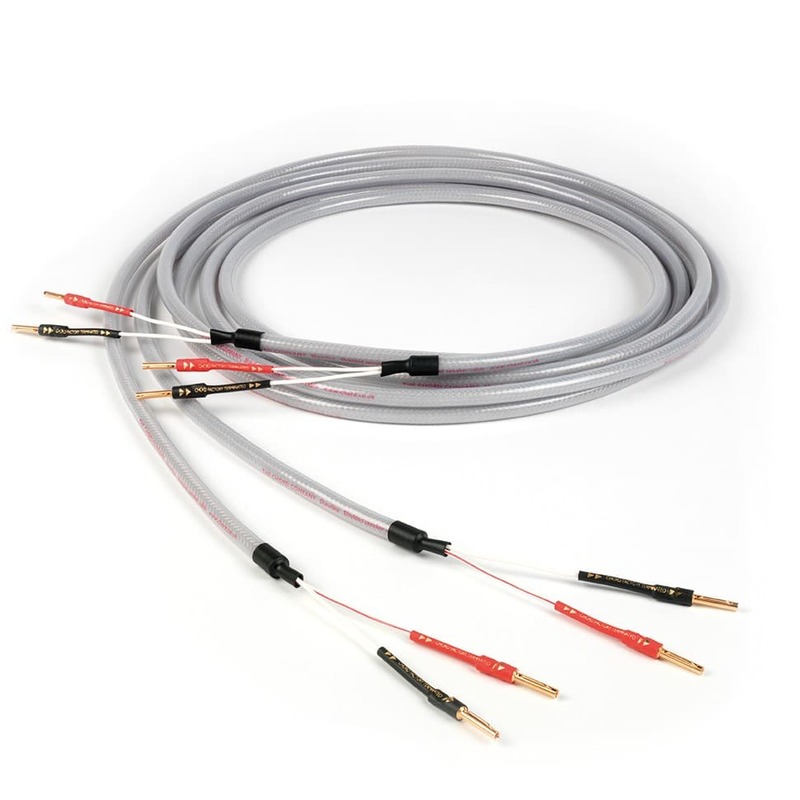 The Shawline Digital is fitted with silver-plated Chord VEE 3 RCA plugs with PTFE insulation (or silver-plated BNC connectors), the new design features a tri-conductor configuration, silver-plated, PTFE-insulated conductors with an internal PVC jacket. 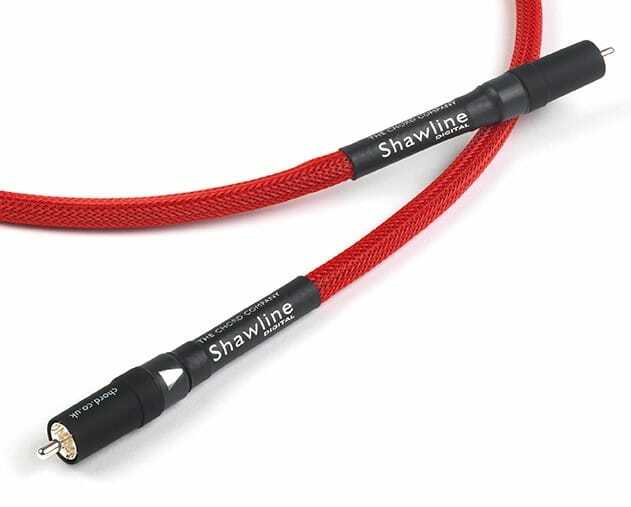 The Shawline analogue interconnect – available in DIN, RCA and XLR versions – is also fitted with silver-plated Chord VEE 3 RCA plugs with PTFE insulation. 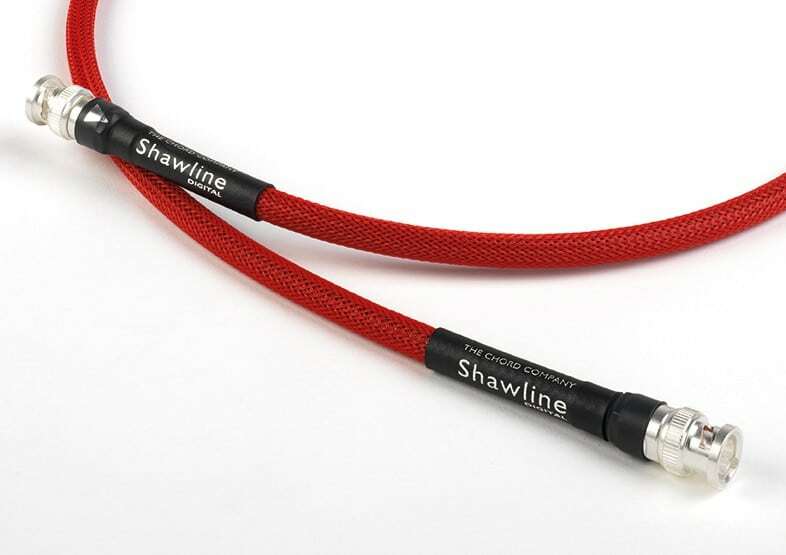 Shawline’s conductors are built from silver-plated multi-strand oxygen-free copper, insulated with PTFE. 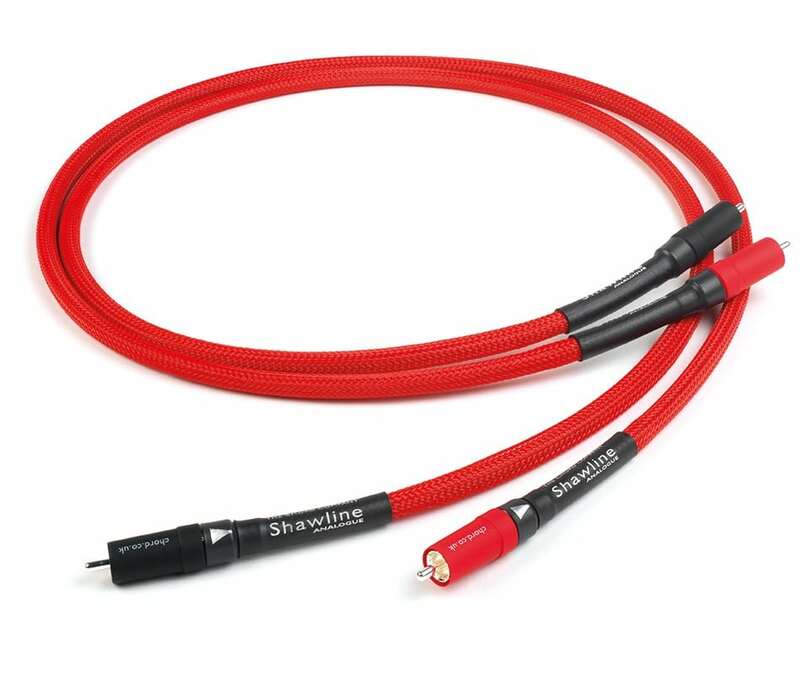 I was going to give each of these cables a separate review but, as they are all from the same Shawline family, I thought that it would be useful to group the three reviews together. Firstly, it provides potential customers with an easy-to-use guide as to each cable’s relative performance. Secondly, it allows me to see if there are any connected features that run throughout the Shawline range. I began with the speaker cables and Patti Page’s No Moon At All from the stereo 1959 reissue (you see? they were even reissuing music way back then) of 1950’s The West Side, fronting Pete Rugolo’s orchestra. The Shawline speaker cables seemed to lift the entire soundstage upwards and towards the ear by degrees, effectively upping the gain a tad in the process. You might infer, therefore, that the sound had been artificially compressed with concomitant bright upper mids and tinny treble following close on its heels. That didn’t seem to be the issue here but I did frown a touch because there was, at least at this moment it seemed to be, a slight edge to the output. The often confusing scramble on the left channel that saw the orchestra play both trumpet and trombone closely together can often have the ear mixing the two instruments up, on lower quality kit. The Shawlines separated the instruments enough to allow the ear to differentiate between the two. Hence, the resolution of the track was improved. The enhanced resolution also allowed the ear to separate one later sequence that had Page singing merrily, with a subtle piano right under her voice and secondary percussion behind her while the whole lot sat on the lower frequencies of a double bass. Each one of these sonic features could easily be heard, such was the instrumental separation from the Chords. Moving to lead singer with Porcupine Tree, Steven Wilson’s solo LP The Raven That Refused to Sing And Other Stories. Playing this high energy title track, that slight clinical edge appeared again. This time on a rhythm guitar that plucked out the basic tune of the track over and over. I suddenly realised the simple solution (all solutions are simple when the light dawns). My pre-amp has 100 notches on his volume control. I lowered mine by just two notches and everything fell into place. Gone was any hint of the clinical but the detail and insight that I had previously experienced remained. If I upped the volume, the entire soundstage experienced a cooling with the odd instrument offering that clinical feeling. There was no actual brightness or harshness, though. The effect wasn’t particularly bad but the music suddenly played under a general spotlight. When handled correctly, the vocals were emotional and full of subtle textures, cymbal hits were fragile and cloud-like, bass had punch and strength while there was enough life and vitality to the soundstage to get those feet tapping. Moving onto the interconnects, which I hooked up to my Leema CD player, I was most impressed with the width of the soundstage while playing a radio edit of David Gray’s Babylon single. The left and right channel seemed to extend appreciatively, giving the song a grander and more encompassing feel. More than that, the midrange offered a very smooth presentation that seemed almost valve-like in its effect but this tonal enhancement did not remove or soften the impact of the music which remained punchy in terms of bass (with, if anything, extra weight and heft behind it) while the piano was a real feature component of the mix. Some cables can pull the piano too far back into the mix. The Chord didn’t create any artificiality but did make a bit of space around the instrument that allowed the ear to be able to locate it very easily. Meanwhile Gray’s own vocal delivery exhibited worthy detail and texture that added to his emotive performance. Listening to the Bing Crosby track, Mandy, fronting the Buddy Cole jazz band, the backing was notable firstly because Cole’s piano was complex without any sense of smearing. The accuracy gave the piano a nimble feel. As if it was a happy puppy prancing around Crosby’s heels. The percussion, meanwhile, utilised brush strokes throughout instead of drum sticks. This subtle presentation was easily captured because of the space in and around the drum kit. The Chords also easily picked up Bing playing with the small change in his pockets! No kidding, you can hear the coins clinking and clanging. Bing Crosby did this sort of thing a lot and it used to frustrate his studio producers to distraction. This one must have given up. Onto the digital cable next which was hooked up from the Leema CD player to my Benchmark DAC2 HGC and I continued with Crosby and his pocketful of change. Crosby’s vocal was strong, forthright and, when driven hard, just a little bit etched, driven harder still there was a hint of the clinical but nothing of any great note and many people will not even notice this, especially if their system is a touch on the sweet side. Nevertheless, even if you have a balanced, neutral system, many ears will find this level of ‘edge’ perfectly acceptable. The soundstage, once again, stretched left and right and made the soundstage a real stage of seemingly physical proportions. The bass from some digital cables, can be strong but hard. The Chord gave the lower frequencies a softer, organic but tonally more realistic air but continued to provide both strength and punch. The bass never lost any sense of power. The piano offered both precision and focus and the drums had a lucidity that was most attractive. Turning to Depeche Mode’s Enjoy The Silence, The Shawline digital cable loved this high energy and dynamic music. Bass was powerful and musical: it was difficult to remain seated, I’ll tell ya! Guitar was sparkling and informative with an additive twangy aspect that revealed its own reverb tail, adding to the tonal realism while the vocal was both articulate in its precision and benefitted from the space that the Chords provided, being then able to provide more nuance during the delivery. 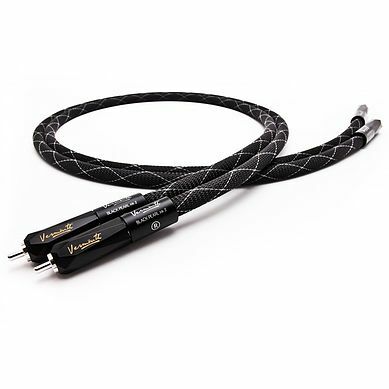 The Shawline speaker and digital cables have a sweet spot in terms of sound quality, it seems and if you hit that spot then all is well with the world. Push these cables too hard and the control and balance will tend to suffer just a tad for some users (not all, I have to say). 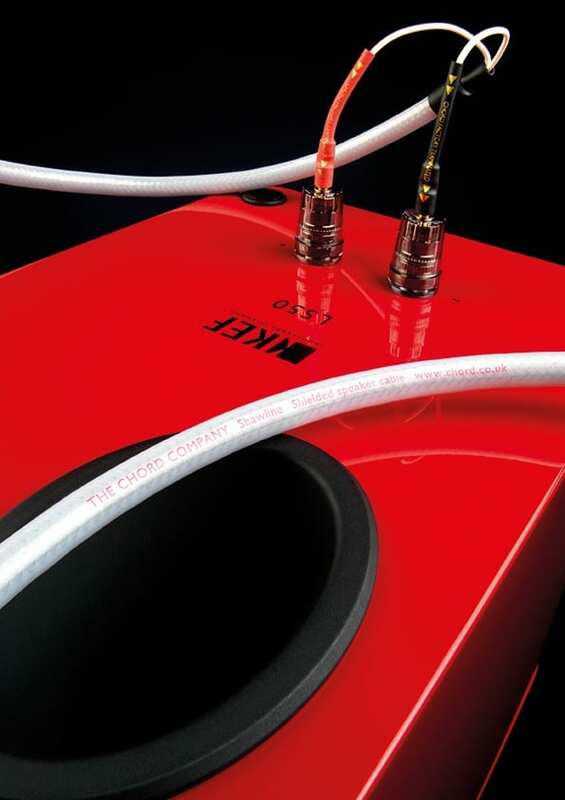 Given just enough volume to remain loud and mean, the speaker/digital cables provide a cracking midrange insight. For the interconnects? Short and sweet, really. For the price, they excel. They allow your hifi to perform, offering a smooth clarity in the midrange that gives your system room to manoeuvre and a chance to deliver even more detail. Wholly recommended.